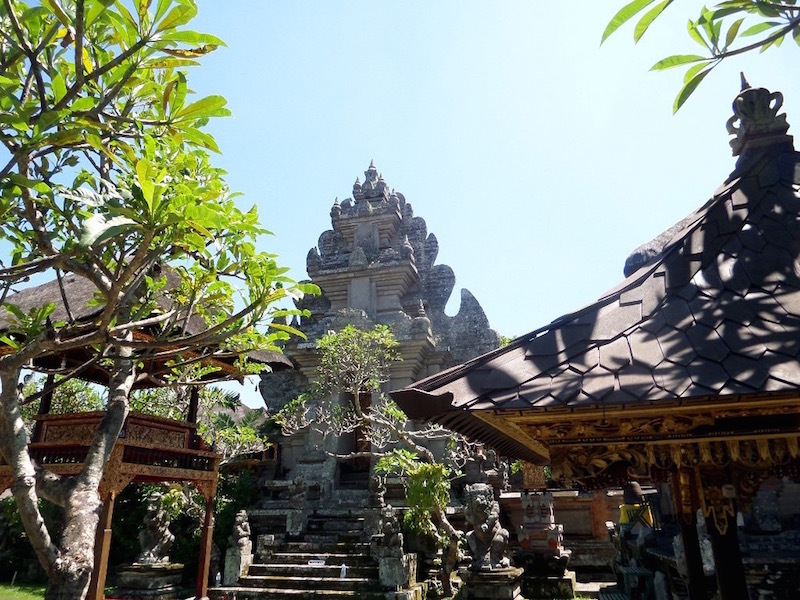 Ubud has fast become a city for the socially and environmentally conscious. A place for yoga lovers, organic lovers and nature lovers alike, this Balinese town has much to offer for the eco-friendly traveller. This social enterprise is leading the way in Bali, and worldwide, for its dedication to funding public healthcare programs through food. One delicious meal at the social Warung will provide two medical treatments to people in need, as well as provide funding for a new paediatric hospital being built at the nearby Klungkung District. With their hash-tags, #togetherwecanmakeadifference and #onemealforfreehealthcare, and help from the local and international community, the Fair Future Foundation’s enterprise has been able to care and treat tens of thousands of people per year, over 27,000 in 2015 alone. Stop into the Warung for a delicious meal, or scrumptious dessert, and support a great cause. Don’t forget to hash-tag your meal and share the love. Bali Buda strives for sustainability and you can feel the essence as soon as you walk up the stairs into the charming, leafy terrace. The restaurant supports organic agriculture and the idea of sustainable living in Bali. 90% of their wastes is either composted or recycled and their produce, grains and protein is as chemical-free or organic as possible. The restaurant also supports NGO Rumah Sehat Madani (RSM), a non-profit organization dedicated to providing compassionate and effective maternal and general healthcare to disadvantaged families in Denpasar, Bali. Another restaurant committed to sourcing local foods is Mudra, a 15-seater dining experience with some of Bali’s best coffee, drinks and ayurvedic island food. You’ll be lucky to get a seat in this place but I promise it will be worth it. All the food is hand-crafted, good for your body and good for your soul. 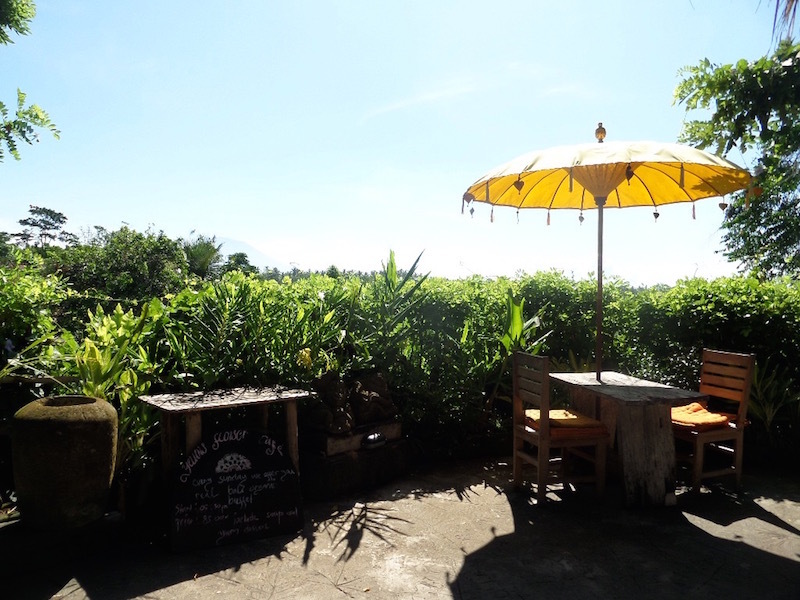 The Yellow Flower Café is a locally owned café nestled in a beautiful area of Ubud above rice paddies and jungle. The restaurant supports local organic farmers by providing a range of organic, MSG-free options on their menu. 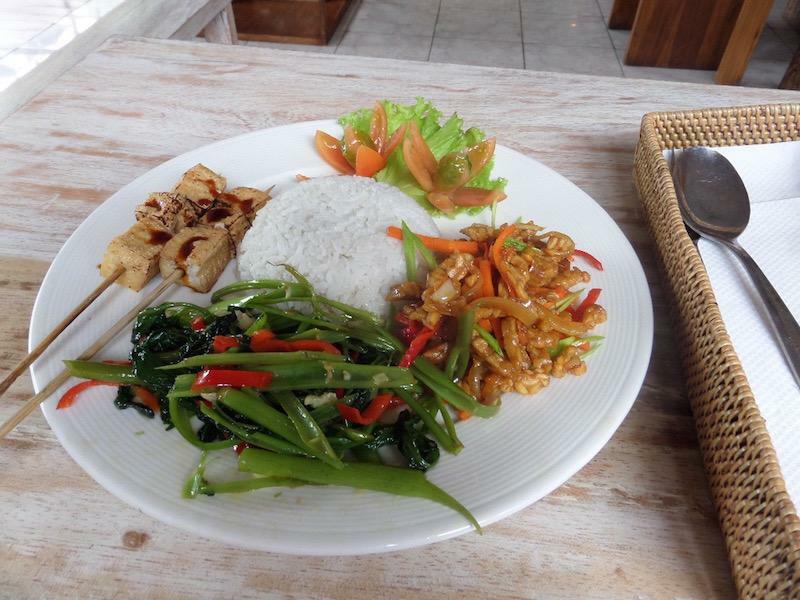 The chicken served is free-range and the rice organically grown in the fertile organic soil of Bali. Visit the serene café for a healthy organic meal, and if you happen to be in the area on a Sunday stop by for the organic buffet lunch. This café serves a range of Asian Fusion, Crepe, Vegan and Vegetarian dishes, with a focus on locally sourced and organic fruit and vegetables. In fact, as a commitment to locally sourced food, almost all of their vegetables are sourced from less than 40 kilometres away, with a majority coming from their own organic garden just 3 kilometres north of Ubud. Dine on their range of seasonal meals, enjoy an organic fruit smoothie or just relax on their comfortable cushions overlooking a quiet street in Ubud, while reading some of their brochures explaining the origins of the food they sell. 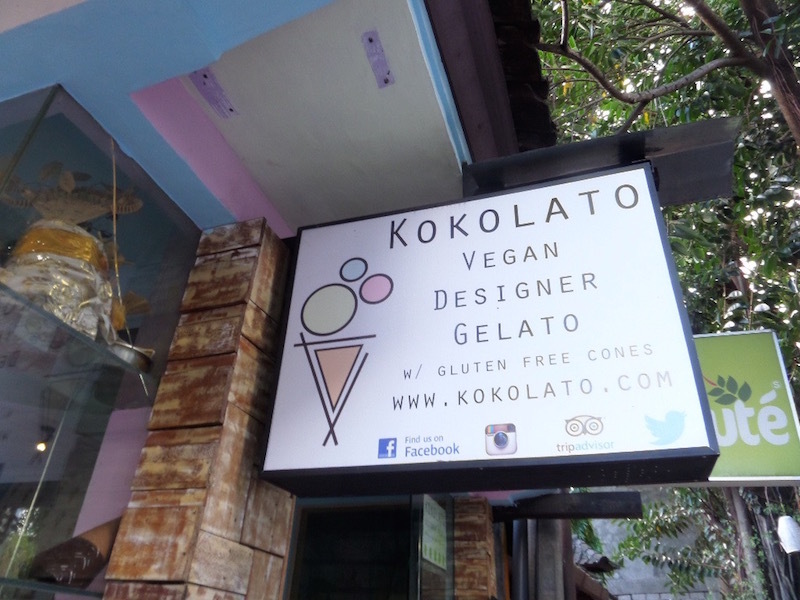 If it’s ice cream you’re craving (which is standard in Ubud given the heat), then opposite Juice Ja Café is Ubud’s very own vegan designer gelato parlour, Kokolato. With flavours like red velvet, moringa mint chip and raw cacao, as well as animal-friendly ingredients like Irish moss, coconut oil and aloe vera, you’ll be enjoying this ice-cream guilt-free, unless of course, you go back for seconds. Kokolato is also available at Yoga Barn, Kismet, Cafe Vespa and Nine Heaven Vegan Warung. Known for their commitment to environmental sustainability and earth-friendly food this restaurant is the perfect place for the environmentally aware and socially conscious diner. The restaurant serves 100% vegetarian food, with a mix of vegan and gluten-free options as well. With ethics including water conservation and chemical free choices, you’ll immediately feel like you’re reducing your footprint after dining at The Elephant, overlooking beautiful rice paddies and jungle. Visit the Atman Kafe in Ubud and you’ll be sure to become a regular customer. With an extensive international menu with options available for Vegans, Vegetarians, Pollotarians, Pescatarians, & Gluten intolerants, as well as some of the most delicious sweets you’ll taste in Ubud, the Atman Kafe dining experience is beyond exceptional. Supporting a number of local causes and environmentally initiatives, this eco-friendly café located off Ubud’s main city centre has become a popular spot amongst tourists for breakfast, lunch and dinner. For one of the most deliciously rich, healthy and raw chocolates in the world try some of Ubud Raw’s Chocolate slices, or stop in for some of Ubud’s best organic coffee. Did somebody say all-you-can-eat vegan food? This awesome diner located close to the Yoga Barn has an all you can eat vegan buffet for just 59,000 rupiahs (that’s about $4USD). The food is amazing and cruelty-free. I ate here nearly every day while I was staying in Ubud. Good news is that if this place is full, there is another vegetarian buffet next door for the same price. 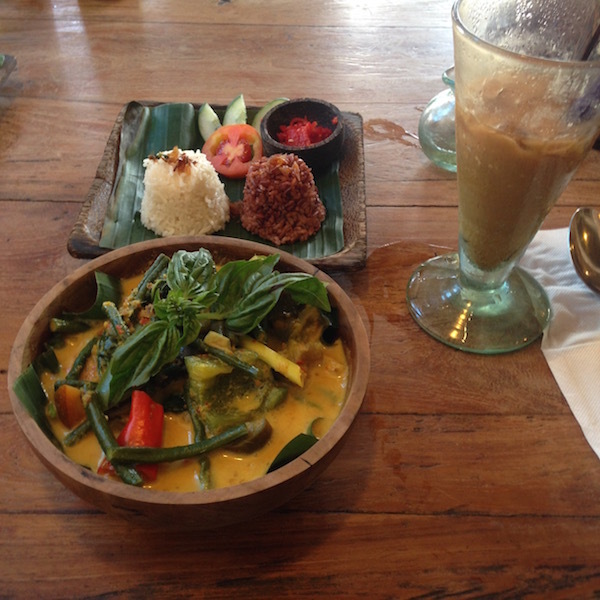 If you ever thought being Vegan wasn’t enticing then head over to Nine Heaven’s Vegan Warung. From Satay Tofu to Fried SoyaBean and Vegan Ramen to a mouth-watering Tagliatelli the food here is 5-star and won’t disappoint. Following Ubud’s trend of organic and sustainable eating, the Vegan Warung aims to source all their ingredients from their own organic farm and become completely self-sustainable in the near future. Down to Earth is one of a chain of six organic and vegetarian restaurants throughout Bali. Their core values include ethical food practices, commitment to nutritious value and a strong commitment to local community development. The restaurants employ groups throughout Indonesia who otherwise lack access to employment. They source spring-water from remote villages in the mountains, source cacao from local farmers, employ impoverished families and provide a portion of sales back into the community, helping to lift others out of poverty. Dine at or buy from Down To Earth and you are helping to support the causes they care about. While all the restaurants mentioned above are no doubt giving back to the community and the environment, never underestimate the advantages of choosing to eat at a small Warung run by a local group or family. You will find dozens of Warungs scattered throughout the city of Ubud that serve local cuisine at half the price of many restaurants and cafés. Try some of the local dishes and support the families that live in this lively city. You might even be able to pick up a bit of Indonesian language while you’re there or try something you’ve never tried before. It is all part of the traveller experience. 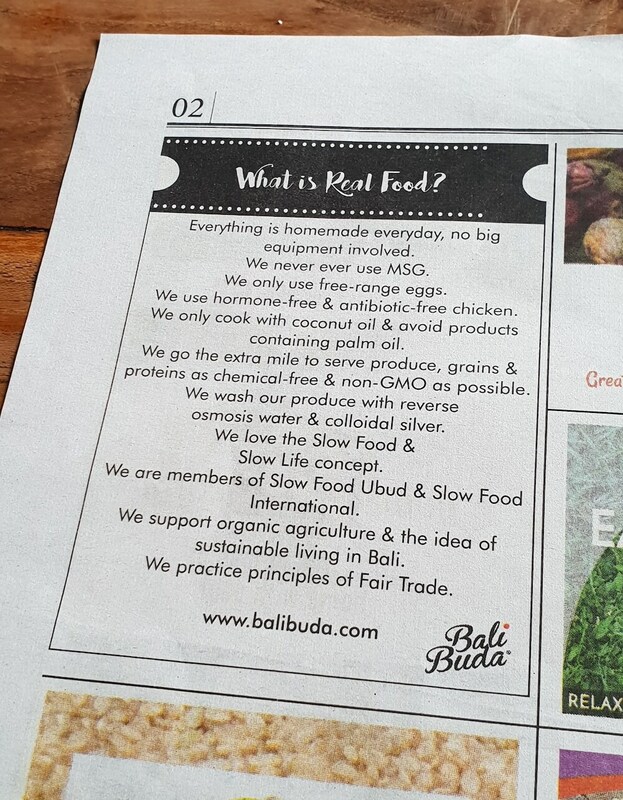 Do you know of any other eateries in Ubud giving back to the community? If so get in touch and I will feature it in the article and share the ethical eatery love.